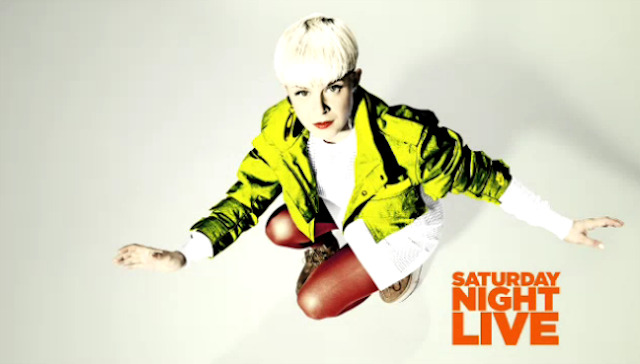 Robyn performs "Call Your Girlfriend" on Saturday Night Live with host Katy Perry on December 10, 2011. Robyn's killer performance of one of my favourite songs of the year, the Grammy-nominated "Call Your Girlfriend", lit up the interwebs last night as I watched. You have to see all the energy and stage presence Robyn's exhibits live. Her sick hand and dance moves in spandex and platform boots while rolling around the 30 Rockefeller performance floor were enticing. She killed it. Her moves only heightened the dance track about cheating on your girlfriend. The Swedish dance pop artist lit it up. 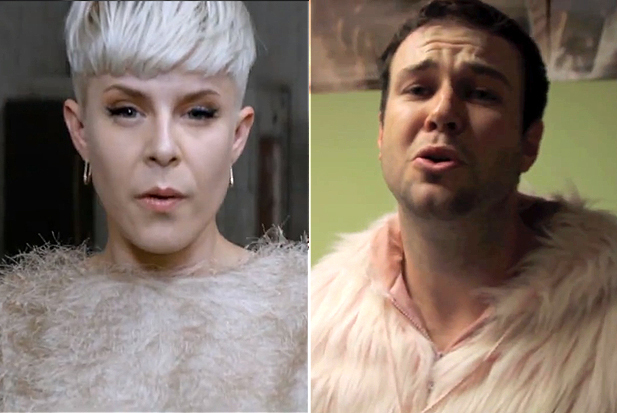 Bonus: You must watch comedian and SNL feature player Taran Killam's crazy hilarious impersonation of Robyn's music video at 4:30am while writing that week's show at NBC offices.